This mask contains a meditative aroma blend of essential oils and is designed for us on all skin types. 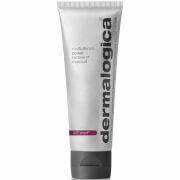 The mask gently exfoliates outer dead surface cells while extracting and cleansing pores. Less active than the Violet Flame Enzyme Mask, the Green Papaya Nutrient Mask is good for more sensitive skin types. It leaves a softer, refined skin texture and promotes a healthier looking complexion. 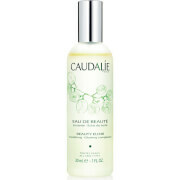 Soothes and nourishes with aloe vera, algae extract, other plant extracts and essential oils. Aromatherapy gives a feeling of being uplifted and nourished emotionally. 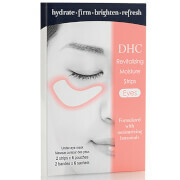 Apply thinly to cleansed face avoiding eye area. Allow to dry. Rinse well. For increased exfoliation and skin clarification, scrub face with Daily Refining Scrub before applying the Green Mask. This method may create more of a tingling on the skin. Aloe Barbadensis (Organic Aloe Vera) Leaf Juice, Kaolin, Water (Aqua), Glycerin, Bentonite, Isoceteth-20, Chromium Hydroxide Green (CI#77289), Dimethicone Copolyol, Quaternium-15, Cyamopsis Tetragonoloba (Guar) Gum, Papain, Citrus Grandis (Grapefruit) Peel Oil, Citrus Aurantium Dulcis (Sweet Orange) Peel Oil, Cymbopogon Schoenanthus (Lemongrass) Oil, Santalum Album (Sandalwood) Oil, Cananga Odorata (Ylang Ylang) Flower Oil, Tocopheryl Acetate (Vitamin E Acetate), Panthenol (Pro-Vitamin B5), Ascorbic Acid (Vitamin C), Chamomilla Recutita (Matricaria) Extract, Symphytum Officinale (Comfrey) Leaf Extract, Calendula Officinalis (Marigold) Flower Extract, Saccharum Officinarum (Sugar Cane), Passiflora Incarnata (Passion Fruit) Flower Extract, Mangifera Indica (Mango) Fruit Extract, Carica Papaya Fruit Extract, Ananas Sativus (Pineapple) Fruit Juice, Tetrasodium EDTA, Phenoxyethanol, Methylparaben, Ethylparaben, Citric Acid. I love the Astara line but this mask was a little to heavy for my sensitive skin so I am returning it and I'm going to try the Golden Flame Hydration Mask.This is a smooth textured mask and with a nice scent so I would recommend it to anyone with less sensitivity. I have sensitive skin, and this is mask is awesome. Calms my skin and cleans my pores, defintely use before showering. I can't wait to try the other astara products. I love their natural ingredients. Smells great, feels great, leaves skin feeling rejuvenated. If you never used this line before -- try it. Use with cleanser and AHA toner and you will be so happy you tried this line of skin care. Antioxidant infusion is also a gem. All products Astara makes are the best.